The Girl Geek Dinners (or GGD) were born in London as an idea by Sarah Blow. 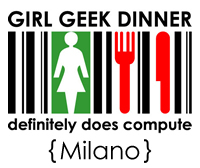 The first GGD in Italy was in Milan in 2007, but a full year passed before the second, when the current team organized the GGD in Milan in 2008. The GGD are dinners or encounters destined for women passionate about technology, the Internet, and new media. They are special opportunities to encounter and socialize with other interesting women during a dinner. They are organized all over the world. The dinners in Milan are organized by an unpaid team of volunteers and are absolutely not-for-profit. 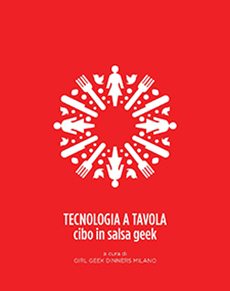 The scope of these dinners is to introduce and unite women that work in the high-tech sector, and to transform into a community, in which men are clearly welcome. The dinners are Girls Only. Actually, there are also men, admitted as invited guests by a Girl Geek, and in limited number for some events.